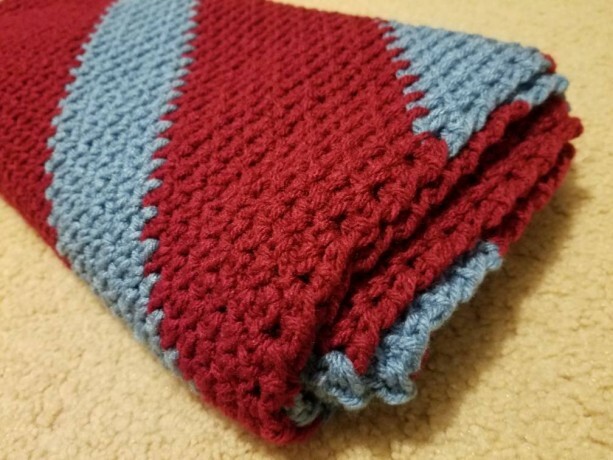 This is a baby blanket the has stripes done in a diagonal manner. 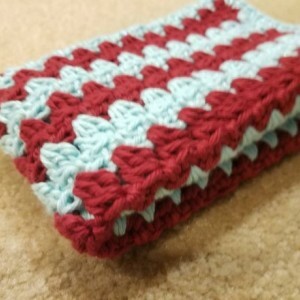 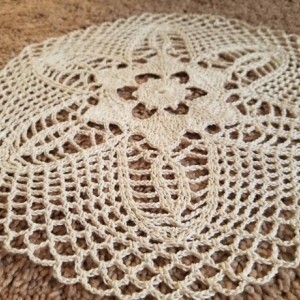 It uses the moss stitch and is a baby blanket that does not have holes in it. 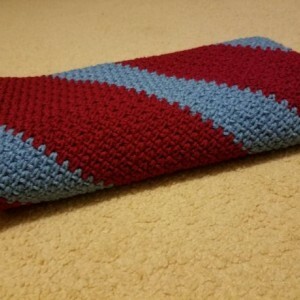 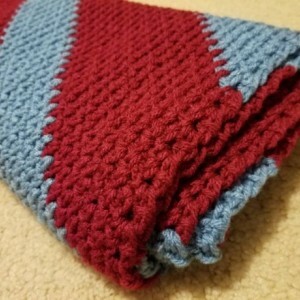 The blanket measures 29 inches by 29 inches (square). 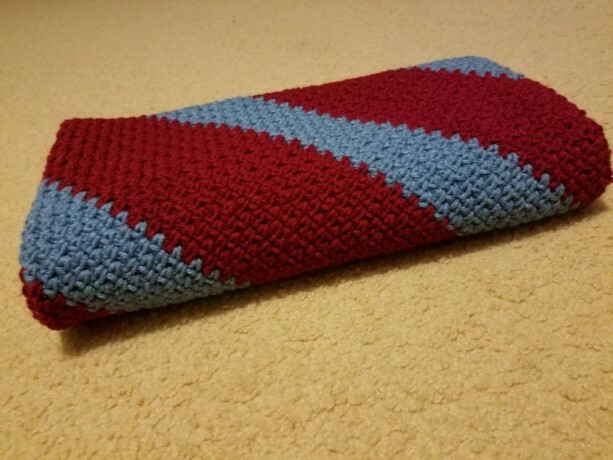 Care: This blanket can be washed.